Edible Flower Ice Cubes – Impress your Guests! 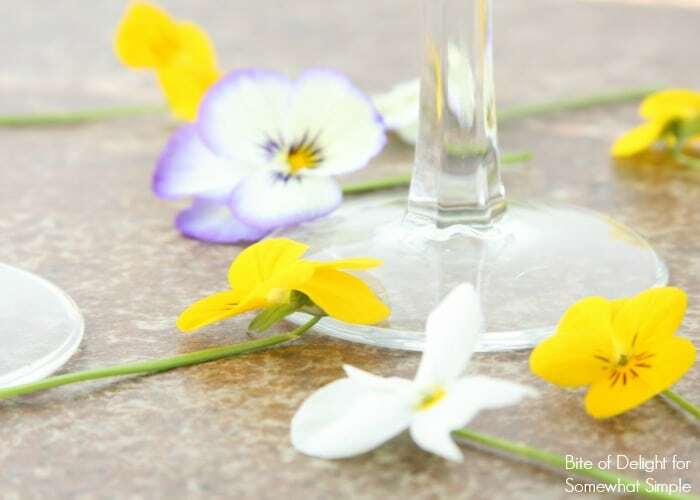 Comments Off on Edible Flower Ice Cubes – Impress your Guests! 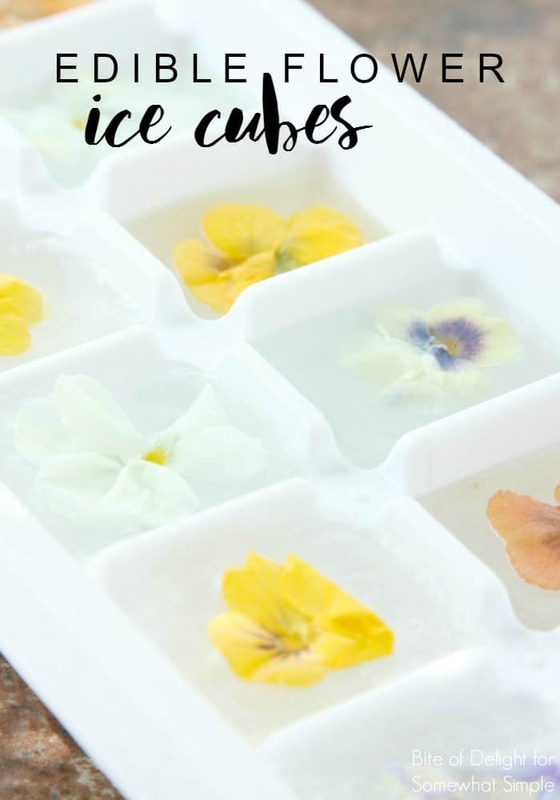 These beautiful Edible Flower Ice Cubes are a unique way to impress your guests at Spring dinner party, baby shower or book club! 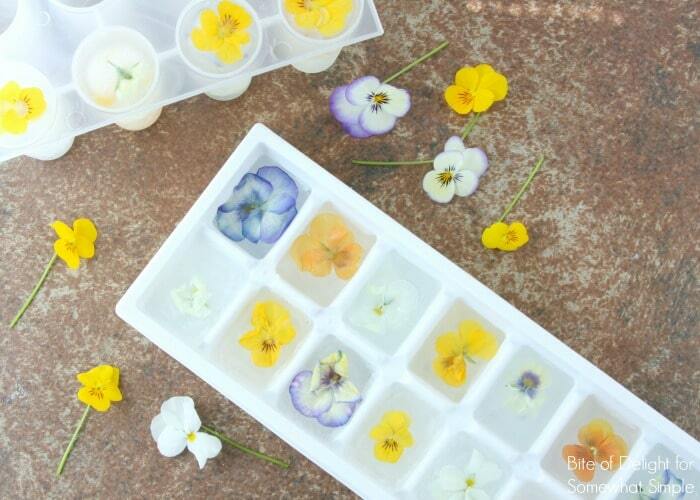 Edible Flower Ice Cubes are simple to put together. 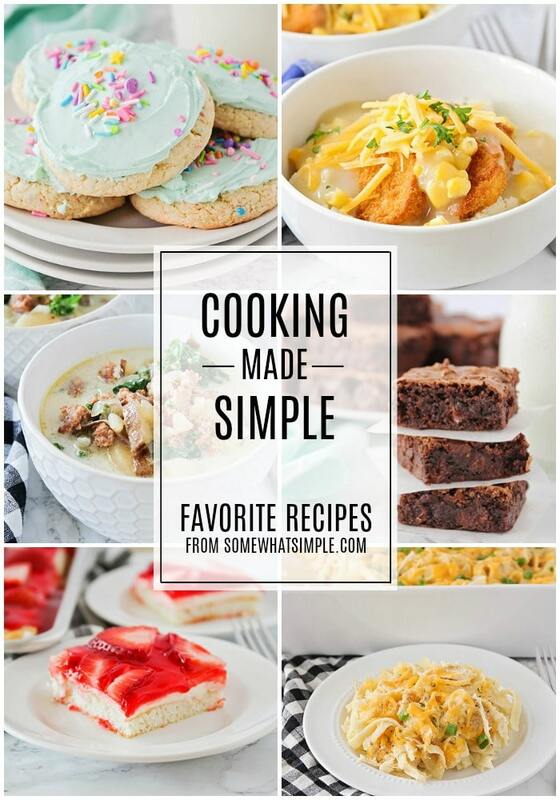 And since they need to be made at least a day ahead, they’re ready to go right when you need them, with no additional prep! 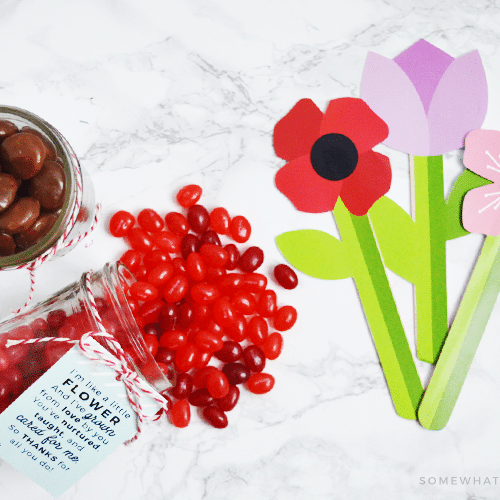 Make sure your flowers are edible, even if you don’t plan on eating them. Never put inedible or toxic flower inside anything that will be consumed. Make sure the flowers are grown organically so you don’t have to worry about harmful pesticides. Consider buying your flowers from a local nursery so you can talk to the staff about where the flowers came from if you have questions. My flowers rose to the top of the water, so I filled the tray half way first, placed a flower in the water, then froze them for about 6 hours. Once the flower was frozen into the ice, I filled it the rest of the way. This time around, my ice cubes melted enough to rise to the top before they went back into the freezer, but ideally, you’ll work fast enough that your flowers will stay in the middle of your ice cubes. Use cold water (or soda) when you do this…that was my mistake, I used room temperature water and it warmed the ice right up! *Your water doesn’t have to be boiled and cooled, but it seems to help make the water more clear as it freezes (boiling helps remove air from the water, which is supposedly what causes the cloudiness as the water freezes). Fill each cavity in an ice cube tray half way with water or soda. Place a flower in the water and freeze for 4-6 hours. 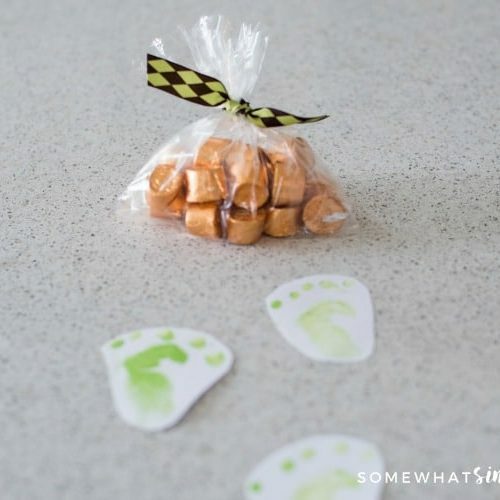 Remove ice cube tray from freezer and fill the rest of the way with water or soda (whatever you used to fill the first half). Return to freezer for another 4-6 hours. Remove from freezer when ready to use. 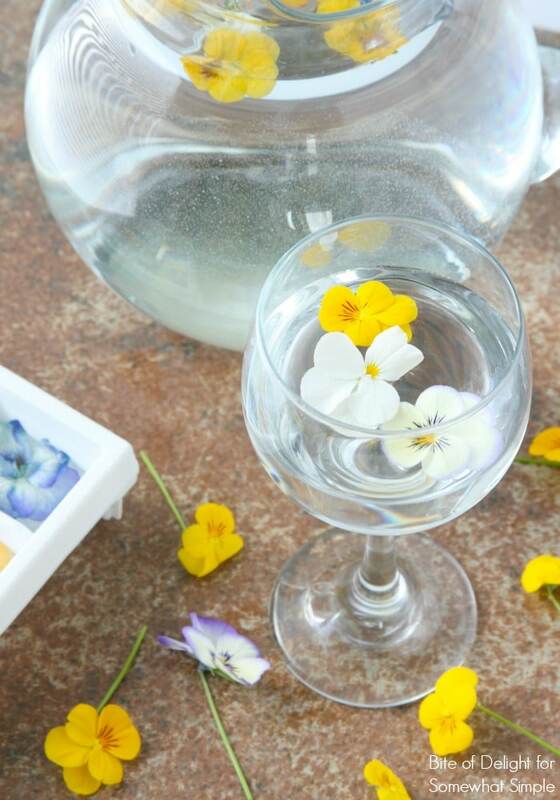 Enjoy your beautiful ice filled with edible flowers! If you run out of time to make ice cubes, but you have your beautiful edible flowers, you can still add them to your drinks! 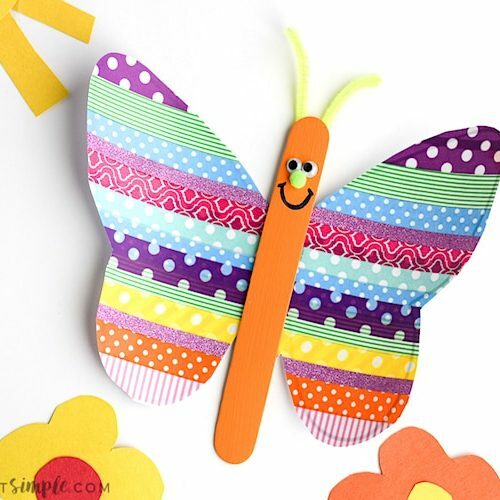 They will float, so you only need a few if they are small like mine. The flowers will flavor the water a little bit, so you want to make sure they are flowers you like. One of my kids liked the flowery water and one didn’t!